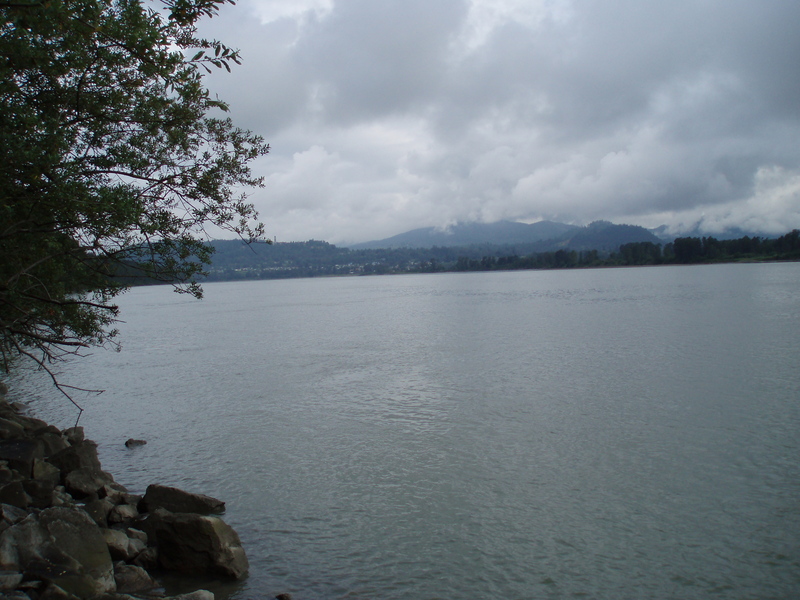 Matsqui Trail Regional Park. Abbotsford, British Columbia, Canada | Discovered ... Right Here! “Explore a narrow earthen ribbon protecting rich agricultural land from the unpredictable currents and water levels of the Fraser River…,” so says the front of the park brochure. Goodness. I am not even sure I should share this spot. I hesitate because I really have barely been there. I’m posting because I did enjoy the brief interlude that was my visit. While running errands and visiting people in Bellingham and up into Canada, my dad and I took a detour and stumbled on the Matsqui Trail Regional Park. 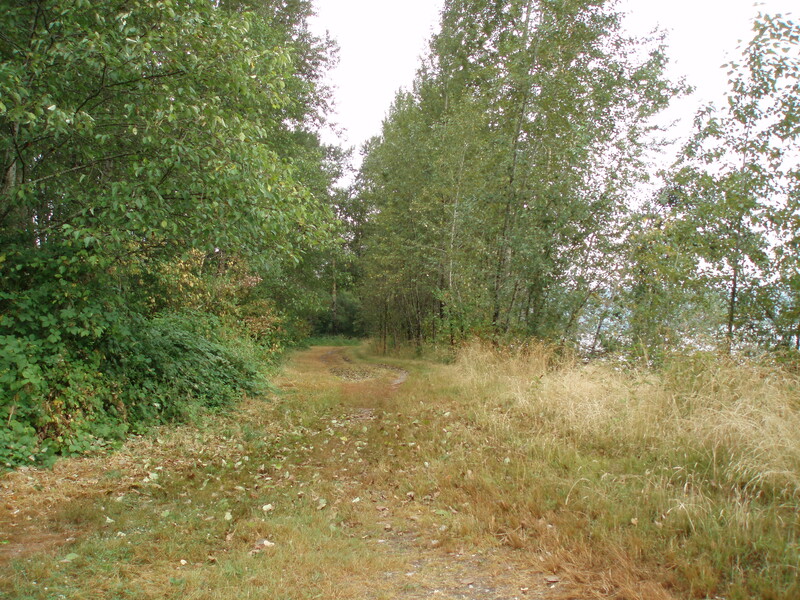 It is a 13.6 km (8.16 miles) shared trail along the Fraser River. We stopped at the Page Road Trailhead, wandered a very short distance along the hiking trail there and paused to take a selfie with river. 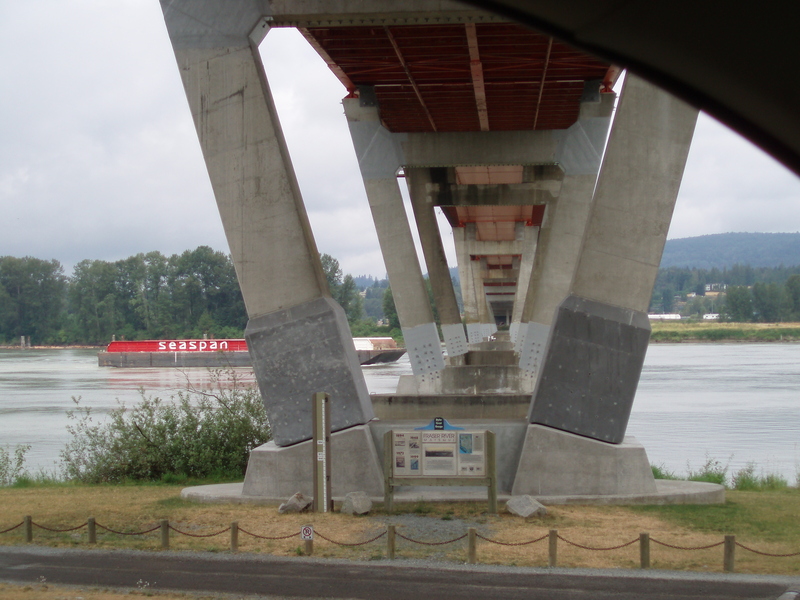 We then drove, yes drove, to the Mission Bridge section, which is 6.5 km (3.9 miles) from Page Road. 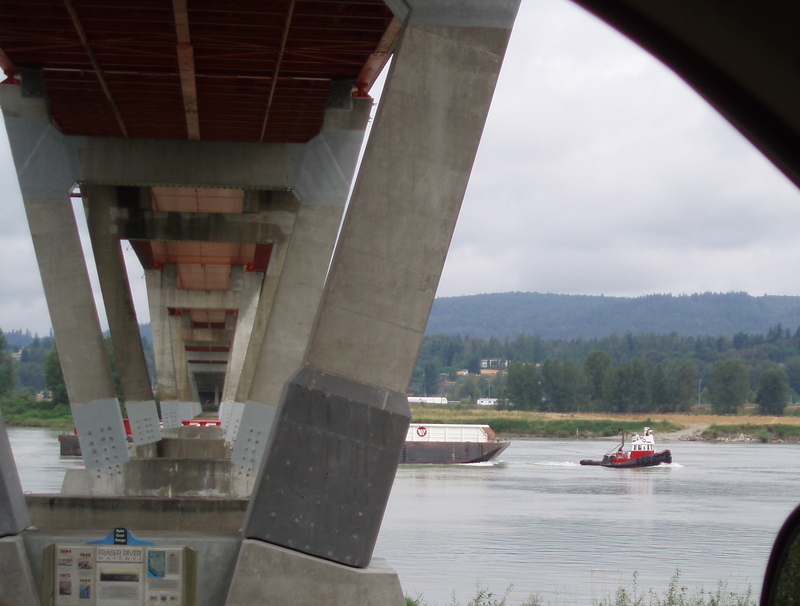 There we stopped (and stayed in the car) long enough to watch a tug pull a barge under the bridge. Keep tugging little tug boat! 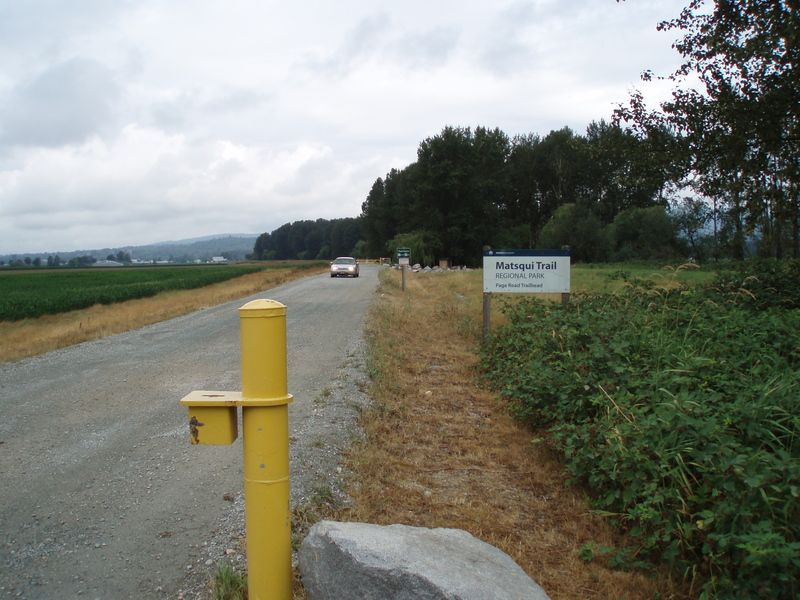 Both spots along the Matsqui Trail were very scenic. Hopefully I’ll be able to go back again sometime.